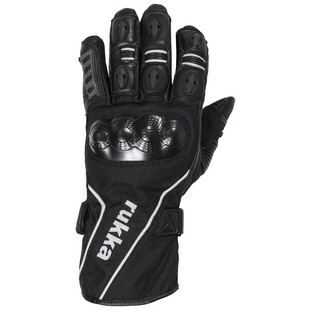 Already well-known for their high-quality winter and adventure gear, Rukka will now offer a top-of-the-line sport touring glove intended for those who want the best protection available in warm weather with the new Rukka Airventur Gloves. Made from a combination of leather and Cordura fabric and featuring soft, flexible D3O armor in the knuckles with hard TPU sliders on the palms, the Rukka Airventur gloves offer ultimate protection without the heft of traditional leather touring gloves. In addition to all that, the Airventur gloves also feature multiple vents located on the fingers and external seams on the fingers for maximum comfort. If you are a touring rider who was willing to sweat it out to wear heavy gauntlet-style gloves because of the protection they offer even in hot weather, the Rukka Airventur may just change your entire riding experience.